Play King of Cards™ online for free now! Do you have a knack for card games and arranging Aces, Queens, Kings et al in the right order? 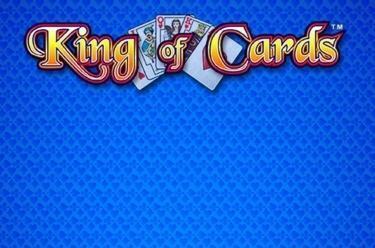 Our cards slot King of Cards™ will then shuffle your chances of winning again! 5 reels only contain symbols from the card game and the joker is among them of course. The joker doesn't just represent all the game symbols - except for Scatter - but also crowns your line win! You have to land 5 identical symbols along a winning line to have a big win at King of Cards™. All 10 winning lines run in different patterns from left to right across the reels. 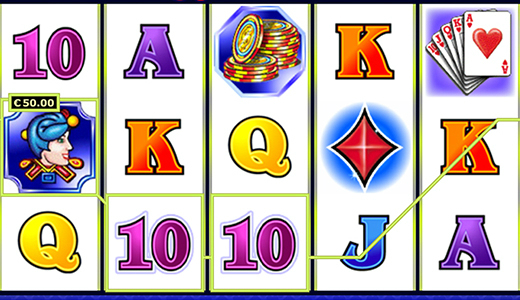 To win you have to land several identical symbols from the left consecutively on a line. A joker in a winning combination doubles your line win. You can change the chips to cash Twists during Free Spins! 3 or more chips anywhere will start 15 Free Spins with triple-multiplier! All free spins are played with the settings of your last round and you can win additional Free Spins during the current Free Spin!